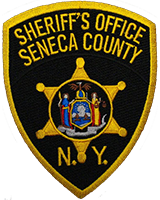 Seneca County Sheriff Tim Luce is advising local residents about some recent telephone scams in the area. Sheriff Luce reports that the 911 center has received reports that a caller claims to be from Social Security and that the victims card has been cancelled and then the caller wants to verify the social security number. Another similar scam is that the caller claims a vehicle was found on the Mexican border with blood and cocaine and then wants to confirm the victims social security number. Sheriff Luce wants to remind residents that these types of calls are fraudulent and to never give out personal information over the phone.